It&apos;s only taken four years and 50-plus episodes, but, finally, The Walking Dead has earned widespread respect. AMC&apos;s apocalyptic zombie drama series hasn&apos;t exactly been ignored, of course—the show, based on Robert Kirkman&apos;s ongoing comic book series, regularly breaks ratings records. Yet before The Walking Dead&apos;s current season began early last month, TV critics were calling for the inconsistent series to end. However, The Walking Dead has risen above the slander. Now in its fifth season, the horror show is currently receiving some of the year&apos;s strongest reviews. The reasons why should be obvious to anyone who&apos;s been watching The Walking Dead since day one: Once sloppily paced and tonally schizophrenic, the show&apos;s creative team—led by showrunner Scott M. Gimple—now handles its myriad ofcharacters maturely and proficiently, and its multiple story threads, which in the past would&apos;ve continued well beyond their expiration dates, are being addressed succinctly. Whereas last season&apos;s The Governor (David Morrissey) overstayed his welcome and lost all of his impact, this year&apos;s Gareth (Andrew J. West), who initially gave every impression of being season five&apos;s Big Bad, was butchered mercilessly by the survivors&apos; now-fearless leader, Rick Grimes (Andrew Lincoln) in the third episode. Each time Rick&apos;s machete literally tore into Gareth&apos;s body, The Walking Dead figuratively ripped down the wall previously separating its fans from its critics. Now, everyone&apos;s a Dead head. Heading into the fall 2014 season, Grantland TV critic Andy Greenwald was one of The Walking Dead&apos;s biggest naysayers. Last November, he wrote a scathing essay titled "TV Eats Itself" that included this vitriolic shade: "In the absence of anything imaginative and alive, The Walking Dead has become the poster child for the entire [TV] industry, one in which humanity is obscured with latex and guts have been swapped out for gore." Two weeks ago, however, Greenwald changed his tune—he penned an enthusiastic love letter to The Walking Dead&apos;s present state, titled "Undead and Loving It: How Did AMC&apos;s Flagship Show Suddenly Get So Good?" Among other compliments, Greenwald praised the show&apos;s racially diverse cast, which in Season5 includes Larry Gilliard&apos;s Bob, Sonequa Martin-Green&apos;s Sasha, Chad Coleman&apos;s Tyreese, Seth Gilliam&apos;s Gabriel, and Danai Gurira&apos;s Michonne as regulars; also, Tyler James Williams&apos; Noah, introduced in Beth&apos;s (Emily Kinney) standalone episode, "Slabtown," and a pivotal figure in last night&apos;s ep, "Consumed." 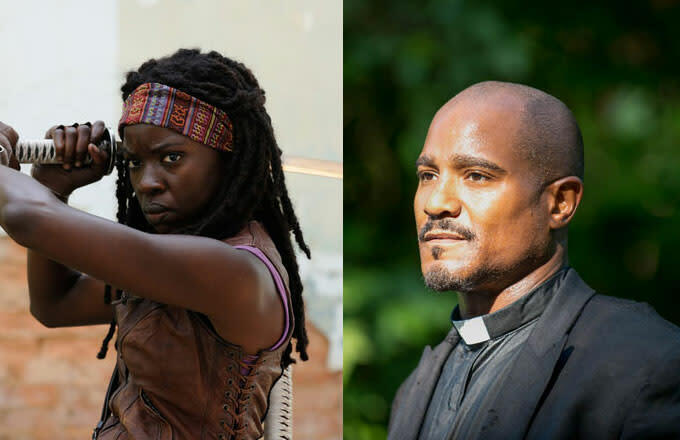 When Danai Gurira’s Michonne sat with [Seth] Gilliam’s Gabriel on the stairs outside the church the other week and had a conversation informed by their wildly divergent perspectives, it was one of the few times this year that a cable drama has passed what is essentially a racial Bechdel test: two characters of color talking about something other than a white person. That The Walking Dead does this regularly shouldn’t be noteworthy in 2014. But it is. To validate Greenwald&apos;s sentiment, take a look at modern television&apos;s other racially mixed and/or predominantly black shows. ABC&apos;s freshman sitcom Black-ish, one of fall&apos;s most successful new shows, has an all-black cast but its jokes, many of which are hilarious, are almost entirely based on the black experience. On the grislier end of the spectrum, Sons of Anarchy features gangs wholly comprised of various minority groups but most of its narrative conflicts thrive on pitting one race against another—just last week, the white SAMCRO, along with a few Aryan Nation helpers, wiped out an entire crew of black gangsters with explosive and machine guns. In comparison to those shows, The Walking Dead deserves a standing ovation. Its lack of preachy racial politics or them-versus-us human turmoil speaks directly to Greenwald&apos;s point. Whether he realizes it or not, Andy Greenwald tapped into what&apos;s long made zombie fiction a vital and fertile ground for stripped-down, character-driven storytelling: A hopeless wasteland overrun by reanimated corpses is the great equalizer. When the dead walk the Earth, issues like racism and bigotry turn petty. Why bicker over superficial differences when the world is essentially over? It&apos;s no coincidence that The Walking Dead&apos;s season-by-season improvements can be measured by the amount of non-white characters per year. Consider the show&apos;s quality back when the lone black dude was poor T-Dog (IronE Singleton); early into the first season, T-Dog&apos;s sole reason for existence was to withstand insults from The Walking Dead&apos;s resident racist, Merle Dixon (Michael Rooker). He was just the "black guy," and the show&apos;s heavy-handed writers never let viewers forget it. Blame that on original showrunner Frank Darabont, since T-Dog and Merle were Darabont creations, characters who didn&apos;t appear in Kirkman&apos;s comics. Nuance became more and more obsolete with every scene of Merle calling T-Dog "boy." But with Darabont&apos;s exit in July 2011, The Walking Dead started righting its course towards tolerance. Merle&apos;s dead, and so is T-Dog. His death was not in vain, though. The Walking Dead has since dropped the racial politics and centered its energy on gritty, down-and-dirty survivalism. The Merle Dixons of the world are either deceased or walking around while deceased. 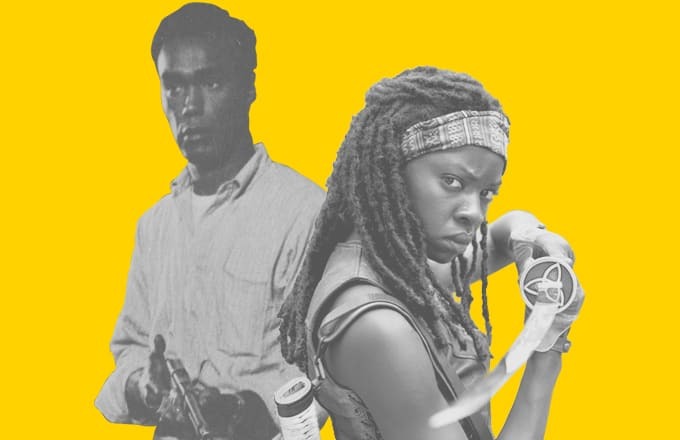 And now, the Michonne&apos;s and Tyreese&apos;s of The Walking Dead&apos;s fictionalized Atlanta can carry the torch first ignited 46 years ago by one particular black zombie-killer. Zombie fiction&apos;s promotion of racial equality traces back to one maverick filmmaker: George A. Romero. The Walking Dead&apos;s Michonne, Tyreese, and Gabriel have been lifted straight from Robert Kirkman&apos;s comic books, which makes perfect sense once you learn how much Kirkman loves George Romero&apos;s zombie films: Night of the Living Dead (1968), Dawn of the Dead (1978), and Day of the Dead (1985). The Walking Dead comic book, for instance, is illustrated in black-and-white as a nod to Romero&apos;s B&W debut. The influence doesn&apos;t end there. "Night of the Living Dead is probably the most sophisticated zombie movie," he told AMC Blog in 2009. "It&apos;s got an excellent story, an amazing ending, and it&apos;s really artfully put together." 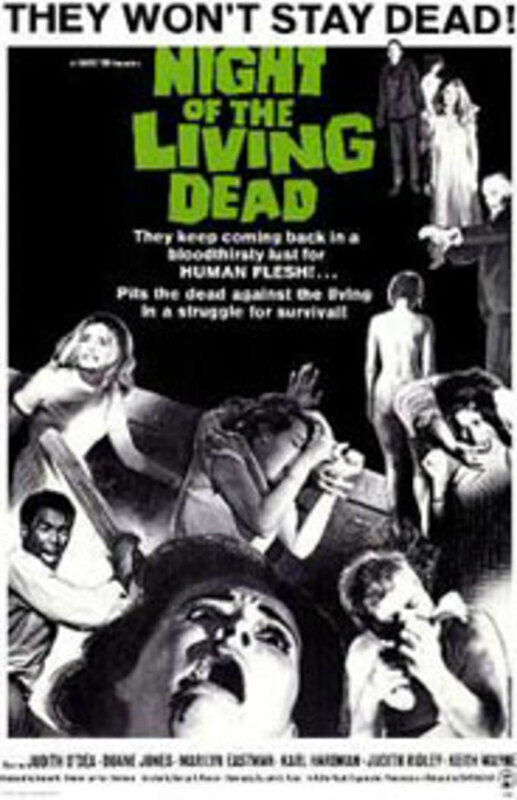 By using Romero&apos;s sub-genre-starting classic Night of the Living Dead as a main source of inspiration, Kirkman couldn&apos;t avoid populating his Walking Dead world with strong black characters—the strongest black character in the history of horror cinema remains Night&apos;s unlikely hero Ben, played by Duane Jones. Walking Dead trivia junkies will recognize that name, but not because of the Night actor. In The Walking Dead&apos;s premiere episode, "Days Gone Bye," Rick befriends a middle-aged black man, Morgan (Lennie James), and his young son, Duane (Adrian Kali Turner). Their last name is, yup, Jones. Frank Darabont, who created The Walking Dead's TV counterpart, wrote and directed the pilot episode. He's an even more vocal George Romero advocate than Kirkman. In a 2010 interview with Time, Darabont spoke about Night of the Living Dead: "It was, other than [those with] Sidney Poitier, maybe, the only movie of its time that had a black male as its lead, which was pretty groundbreaking stuff in its day. Consider 1968, consider the strife that was going on at the time. That was a pretty bold move on their part. I always admired that." Beginning with nothing more than basic low-budget, midnight-movie aspirations, Romero and his fellow Pittsburgh, Pa., team, the Latent Image, released Night of the Living Dead at the height of the Civil Rights movement. The fact it starred a black man meant controversy and subtextual readings were unavoidable. The script, written by John Russo, had a fresh premise: Seven strangers board themselves up in a random farmhouse as hundreds of resurrected cadavers try to eat them alive, while countless other ghouls do the same to everyone else in the world. In the 2000 documentary The American Nightmare, Romero commented on the film&apos;s premise with, simply, "I just thought it was great, the idea of this new society devouring the old, and just changing everything." Today, just as it did for perceptive audiences back in &apos;68, Night of the Living Dead chills and provokes as intestine-strewn social commentary—the zombies represent an uprising; the gun-toting rednecks and hillbillies tasked with hunting them down are Romero&apos;s answer to the abhorrent, monstrous white men who lynched, beat, and terrorized minorities. In 1968, the notion of a black actor leading a movie was a huge taboo. Romero didn&apos;t care. In the original script, before the casting process began, Ben was written as a crass, unsophisticated white trucker. But then Romero met Duane Jones, a 31-year-old, professionally trained actor who&apos;d done some print modeling for Ebony, had studied abroad in Norway and Paris, and was, at the time of his audition, studying for his M.A. in Communications at New York University. He was everything that the Night screenplay&apos;s Ben wasn&apos;t, but that didn&apos;t matter. "Duane Jones was the best actor we met to play Ben," says Romero in Joe Kane&apos;s thorough 2010 making-of book, Night of the Living Dead: Behind the Scenes of the Most Terrifying Zombie Movie Ever. "[At the time] if there was a film with a black actor in it, it usually had a racial theme, like The Defiant Ones . Consciously I resisted writing new dialogue ‘cause he happened to be black. We just shot the script." 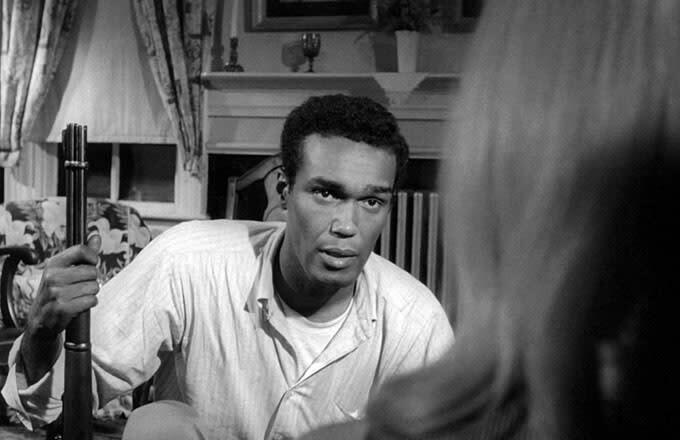 Although Ben is the film&apos;s only black character, Night of the Living Dead should be seen as an early trailblazer for the aforementioned "racial Bechdel test." Race isn&apos;t discussed once throughout its 90-minute duration. His biggest rival, Harry Cooper (Karl Hardman), hates Ben, stemming from their differing opinions on the group&apos;s best means of safety—Ben says they should stay upstairs and Harry thinks they should barricade themselves in the basement. The underlying tension between Ben and Harry is unmistakable. Harry doesn&apos;t need to hurl racial slurs at Ben—he wears his contempt on his sleeve, and the second he&apos;s able to lock Ben outside with the zombies, Harry does so without hesitation. Yet Romero and Russo smartly kept the two characters&apos; skin colors undiscussed. Romero allowed [Jones] to change the script, but they did argue over the scene where Ben slaps the blond Barbara to calm her down. "Duane said: &apos;You&apos;re asking me to hit a white woman. You know what&apos;s going to happen when I walk out of the theater?&apos;" Romero says. 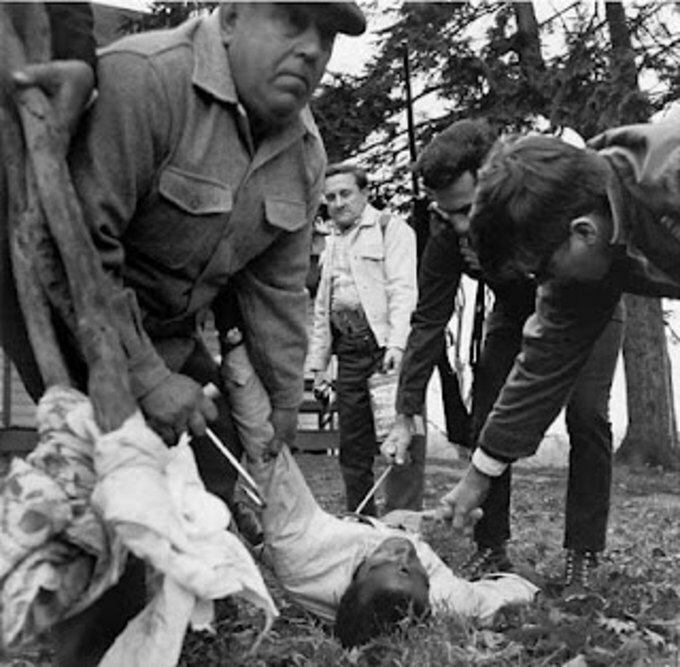 "We kept saying: Come on, it&apos;s a new day.&apos;"
At first, Romero didn&apos;t consider Night of the Living Dead to be a statement movie—at least not while filming. It wasn&apos;t until he and producer/co-star Russ Streiner were driving from Pittsburgh to New York in April 1968 to try and sell Night of the Living Dead to distributors that he started understanding the film&apos;s societal importance. While en route to NYC, they heard a radio report stating that Dr. Martin Luther King, Jr. had been murdered. In the wake of MLK&apos;s tragic passing, Night of the Living Dead would never be seen as anything but groundbreaking. Duane Jones&apos; Ben would forever be a symbol of both progressive casting and an in-your-face arraignment of Civil Rights challengers. That "amazing ending" Robert Kirkman cited? It&apos;s not only amazing—it&apos;s heart-stopping. After the zombies bust into the farmhouse and everyone else perishes, Ben&apos;s left to hide out in the basement until the morning. Once the sun&apos;s out, he hears voices and gunshots outside; it&apos;s the cops and volunteer hunters who are sweeping the area to put down all zombies. Standing outside of the farmhouse, one of the hunters hears rustling from inside of it and sees a figure approaching—it&apos;s Ben, but the hunter, minus any second thoughts, fires a bullet straight into Ben&apos;s forehead. 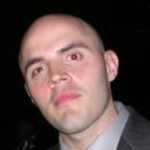 The shooter&apos;s cohorts then drag Ben&apos;s body outside on a hook, toss him onto a pile of slain zombies, and set him ablaze. To them, he&apos;s just "another one for the fire." It&apos;s the scariest, most emotionally devastating, and bleakest indictment of white-on-black racism that zombie fiction—or any fiction, for that matter—has given us. The Walking Dead doesn&apos;t need to address racial inequality head-on. George Romero started and ended the conversation with Night of the Living Dead. Romero also set a precedent. Undoubtedly inspired by him, the filmmakers behind several of the best post-Night zombie movies have kept Ben&apos;s spirit alive. Romero was the first one to do it, making the most badass and heroic character in his second zombie flick, Dawn of the Dead, a hulking black National Guardsman named Peter (Ken Foree). In Zack Snyder&apos;s revved-up 2004 remake of Dawn, Ving Rhames cooly ice-grills everyone as the very Peter-like Kenneth, while the toughest still-breathing person in British director Danny Boyle&apos;s new-millennium classic 28 Days Later… (2002) is a black woman, Selena, played excellently by Naomie Harris. You could also draw a line from Dawn of the Dead’s Peter straight through to The Walking Dead’s Tyreese. Both characters are physically imposing and soft-spoken, clearly hiding secrets but never revealing too much of themselves. Not to mention, they’re both able to smash through a sea of undead creatures like bosses. All of those characters are simply looked at as either friends, opposition, or protectors by their fellow survivors, without any prejudice. They’re the descendants of Night of the Living Dead&apos;s Duane Jones and the forefathers, and fore-mothers, of The Walking Dead. 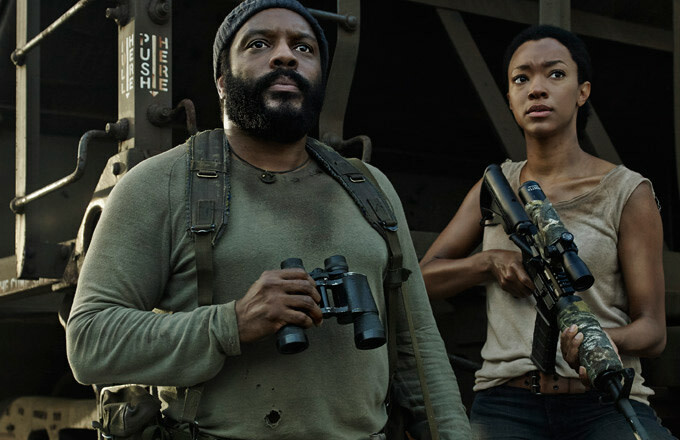 Having to point out The Walking Dead&apos;s racial inclusiveness in 2014 is frustrating; thankfully, that open-mindedness is nothing new to the living dead. It&apos;s progress that reanimates itself whenever zombies do the same. Matt Barone is a Complex senior staff writer who suggests you read Colson Whitehead&apos;s superb zombie novel Zone One for another example of this subject at work. He tweets here.